First off, let me start by saying I know author Mindy McGinnis on a cyber level. We've been critique partners, sounding boards and friends. However, don't let my friendship with Mindy dupe you into thinking my review will be biased. Mindy is brutally honest, and I know she would want me to be as well. 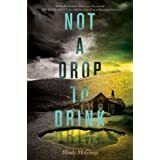 In a nutshell, Not a Drop to Drink is about a young lady who faces a brutal world of survival. Lynn has no time for the softer side of life as she and her mom fight for every minute of every day. In this post apocalyptic world, water is scarce and the pond outside Lynn's home is literally the tipping point between life and death. When tragedy leaves Lynn alone on her roof to protect the life-giving water, she is faced with fears greater than survival of the fittest--the need to rely on someone else. This story is about the evolution of humanity in one girl's heart. Born into a violent world, Lynn has known nothing beyond the ever-present need to collect, purify and protect the water in the pond. She's killed for the pond. The question: is her soul too thirsty to quench? A post-apocalyptic/dystopian novel that tackles the reality we may someday face. Water is scarce in Not a Drop to Drink. Humanity, more so. Mindy's unflinching view of what desperation looks like. She didn't sugar coat the troubles we would face in a world without a ready supply of water. Instead, she tapped into the pioneer-esque work ethic and problem solving skills that are sometimes lacking in today's world. Survival is not a game we can turn off when we get bored or tired or frustrated. It's a gritty reality that never ends. The water witching. Seriously, this brought back childhood memories of a friend of the family who could witch water. This crazy, unexplained ability to find water below the surface of the earth is nothing short of amazing. The characters. I think I may be in the minority, but Stebbs is by far my favorite character. I loved his time-worn view of the world--and of himself. He was the perfect mentor for Lynn, while Lucy brought the youthful innocence that had so desperately been missing from Lynn's life. Eli's sense of humor was much needed to alleviate the heaviness of the topic. Lastly, I appreciated Mindy's brevity. She didn't belabor unnecessary details. I read this book in a few hours and didn't skim a single paragraph. This is unusual for me, as I tend to skip the "boring parts". The epilogue. It felt so abrupt that I had to check the mirror to see if I'd been slapped in the face. I wasn't ready for the time jump. I'm not sure what I expected, but these last pages felt too pat, too clean, too easy for all the struggle Lynn had gone through before. Maybe I wanted another book between the end and the epilogue...you hear that Mindy?...just to satisfy my curiosity about what happened in between. After reading other reviews, I find myself in the minority. I wasn't at all surprised by the ending. I expected it and wasn't remotely disappointed in the way it turned out. It was validating to see Lynn remain in character during the toughest moment of her life. That said, I was momentarily surprised by one death...but only momentarily. Then I remembered who wrote the novel and knew that this, too, was within the author's character. Survival isn't easy. It's painful and it doesn't play favorites. Mindy never once forgot that. It's there, barely. Which I'm a fan of since that's one of the "boring parts" I usually skip. Strangely enough, I would have liked just a little more intimacy. Not necessarily physical intimacy between Lynn and Eli, but more of an emotional intimacy within herself. Yeah, I know, clear as mud. There you have it. A brutally honest four point five rain drops for Not a Drop to Drink. Spring is to Romance as Fall is to Decay. And not just the leaves. Relationships suffer greatly with the start of each new school year. Summer flings are flung when kids flock to the halls and are forced to conform to the whims of their peers. (Grease, anyone?) The girl with the glasses, zits and a little extra baby fat can return in September as the unexpected class babe. The cafeteria reeks of nasty lunches, new interests and fading passions. Fall can be particularly dangerous for college bound folk and the significant others they leave behind. Cute gals catch the eye of tethered-down guys, making them question the relationships they are in. Likewise, college seems to change boys to men overnight--at least in appearance. I'm not sure why, but standing on a university campus automatically adds muscle and coolness to even the geekiest guy. But here's the thing. High school relationships are not supposed to last forever. They are the opportunity to explore different personalities and activities. No, not those activities. The kind that help you find yourself. Do you like hiking, biking, mountain climbing and fishing? Are you content to hang out in a dark basement during a seven hour movie marathon? Would you rather suntan at the beach than kick a soccer ball? Does killing cyber zombies rock your world? Are you Right Wing, Left Wing or completely apathetic? A vegan about to commit your heart to a hunter? Who are you, what do you like and what do you want to do with your life? High school and early college relationships will help you find out. So don't be afraid to let your beloved go if things no longer feel right. Because even those high school couples who get married, have twenty-seven kids and age out together don't have the same relationship they had while in school. 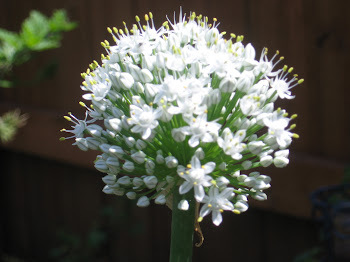 They matured through experience, and part of that experience is hanging out with others and figuring out what you like. Now get going. Meet new peeps. Enjoy the diversity the world has to offer. When I was a kid, Labor Day meant that everything was closed. My parents didn't have to work, and any trip we took had to be planned for in advance because the laboring masses were allowed a day of freedom from their service industry jobs. That is so far from the case now that it makes me a bit angry. Laborers do not get time off from laboring anymore. Instead, it seems as if LABOR DAY has become a rich person's holiday where white collar workers buy gas, dinner, movies and retail from the very people the holiday was meant to honor. In fact, stores no longer close down for Thanksgiving, but rather open for special pre-Black Friday sales. Turkey is gobbled quickly so shoppers can get the best pre-pre deals around. What, may I ask, are we thankful for? A good deal? Another chance to purge our wallets on useless items? One more shopping opportunity to buy toys and gadgets that lose their luster the moment they wrapping paper comes off? Well, bah humbug on shopping. Happy Labor Day to all the wonderful people who work long hours, long weeks and weekends over every month of every year to make life easier for the rest of us. Your work is appreciated by some--even as you flip another burger, layer another sub sandwich, hang up another shirt or clean--especially clean--another public restroom. My life is more enjoyable because of you. Many thanks to the true working heroes.